Newcastle Jets' fullback Gema Simon also started allowing Chloe Logarzo to play in a more forward role, leaving veteran Lisa De Vanna rotated to the bench. 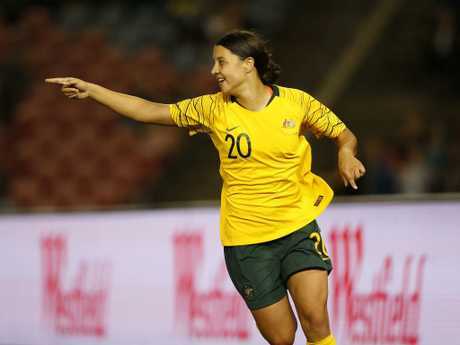 Superstar Sam Kerr got the party started for the Matildas. Australia began with their usual high tempo approach but, unlike in Saturday's match at Penrith, they had little to show for their endeavours. 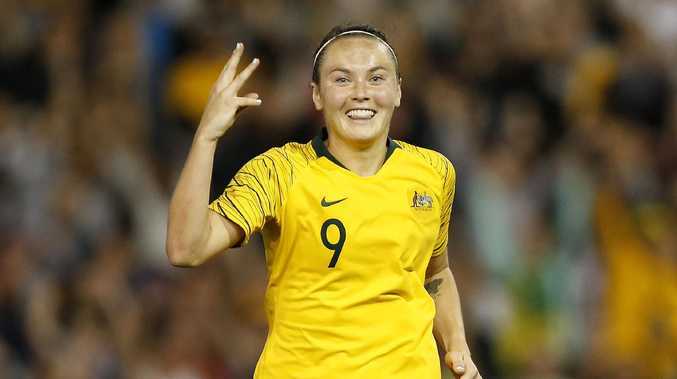 Two minutes later Foord deservedly had a goal of her own, firing home impressively from an acute angle after Logarzo's square ball caused havoc. The pressure valve had well and truly been released. Midway through the half Foord took advantage of some hesitancy to pounce on a poor touch from Endler to finish cooly from outside the penalty area. Foord completed her hat-trick two minutes from time and could have had another but for a scrambling save from Endler.